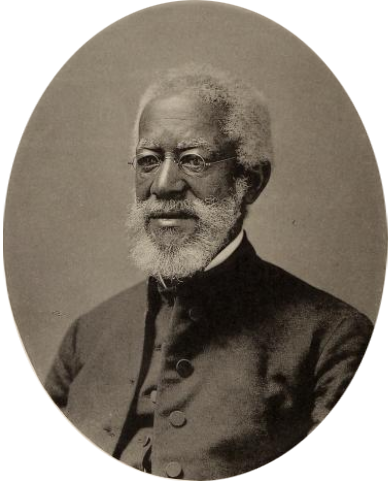 One of the first African nationalists, Alexander Crummell is an important figure in transatlantic history. Born free in 1819, Crummell (whose father was enslaved) grew up in New York and from an early age supported the American Anti-Slavery Society. Crummell decided to visit Britain in 1847 to raise donations for the erection of a church for African Americans in New York. The Derby Mercury reported that Crummell’s congregation suffered from “extreme poverty” and the “spiritual destitution is most pitiable” for Black Americans in that city. He sought to raise over £3,000 and by deciding to enroll for three years in one of Britain’s elite universities (Cambridge), he wanted to prove to Americans that the insulting and discriminatory policies which governed many American colleges that barred Black Americans from entering was wrong (Derby Mercury, 23 May 1849). Although it is likely that Black students graduated from Cambridge in the eighteenth century, according to official records, Crummell was the first Black student to graduate. His wife and three children joined him whilst in Cambridge. In 1853, Crummell moved to Liberia for twenty years to work with African people and teach them the Gospel. It was in Liberia where he developed a pan-African ideology in which all Black people should unite together in racial solidarity, teach their brethren Christianity and bond together to fight racism and white supremacy. He wanted all people of colour to move from America to Liberia so his mission could be realized, although his ambitions never materialized. Crummell returned to America in 1872 and established St. Luke’s Episcopal Church in Washington D.C., which is now a designated National Historic Landmark. Crummell died in New Jersey in 1898.